Bali: Beyond the Postcard. 1991. Filmakers Library. VHS. 60 mins. A documentary film on the passing down of the Legong dance legacy in a Balinese family whose gamelan music and dance tradition spans four generations. Bali: Masterpiece of the Gods. 1991. National Geographic/Questar. VHS. 60 mins. This documentary offers an introduction to Balinese culture, music, and other arts. Gamelan performances, as well as dance, theater, and shadow puppetry accompanied by gamelan, figure prominently. Colin McPhee: The Lure of Asian music. 1985. Michael Blackwood Productions. VHS. 60 mins. A portrait of the composer and musicologist Colin McPhee, whose music was especially influenced by Balinese music and who resided on the island for several years in the 1930s. The film features performances of some of McPhee’s works and commentary by composers John Cage and Steve Reich, who provide insights into McPhee and his impact on their own work. Gift of the Wali: the Gamelan Sekaten in Central Java. 2007. Produced by Keith Rollinson. Resonance Media. 2 DVDs, 168 min. Documentary on the history and context of the gamelan sekaten, which is performed on in celebrations in Surakarta, Yogyakarta, and Cirebon to honor the Prophet Muhammad’s birthday. Features performances that show gamelan playing style and structure specific to this ancient, sacred form of gamelan. The Great Ceremony to Straighten the World. 1994. Produced by Jann Pasler. Distributed by Berkeley Media LLC. DVD, 55 min. Examines an extraordinary Balinese ritual event that was produced to renew and revitalize Balinese culture at a time when Balinese society was perceived to be on the verge of collapse under the weight of an intrusive tourist industry and other disturbances. 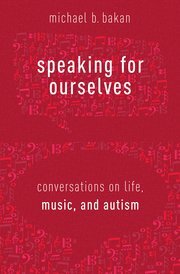 A fascinating case study of cultural tradition, resilience, and transformation. Island of Temples. 2003. Lyrichord; Multicultural Media. DVD. 27 mins. A documentary filmed in the early 1970s that illustrates the day-to-day life of people in Bali. 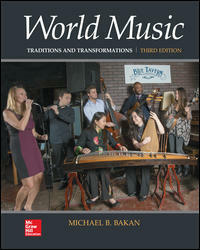 Includes examples of songs, dance-dramas, and ceremonial gamelan performances in Hindu-Balinese temples. Included are extracts from the Barong and Kecak dance dramas. Directed by Deben Bhattacharya. JVC Video Anthology of World Music and Dance: Southeast Asia: IV-V. 1990. Distributed by Rounder Records. Vols. 9-10. VHS. The JVC Video Anthology provides broad coverage of Indonesian music. Highlights include an exciting and virtuosic performance of the kebyar-style composition “Sekar Jupun” (selection 9-1) and a Kecak performance (selection 10-1). There are also several examples of Balinese dance accompanied by gamelan (including the Baris dance), a Javanese shadow-puppet play (wayang kulit) accompanied by Javanese gamelan (selection 10-2), and a Sundanese (West Javanese) gamelan degung performance. Accompanying guide provides contextual information. Kawitan: Creating Childhood in Bali. 2002. Produced by Linda Burman-Hall; directed by Eli Hollander. Distributed by Berkeley Media LLC. DVD, 57 min. Examines Balinese life-cycle ceremonies and explores Balinese music, movement, ritual and identity. Taksu: Music in the Life of Bali. 1991. University of California Extension Media Center. Introduces the music of Bali in its ritual context through the concept of taksu, or spiritual power. 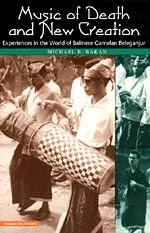 Includes examples of gamelan performances, rehearsals, ritual ceremonies, and instrument making processes. Wayang Golék: Performing Arts of Sunda (West Java). 1999. Insight Media. 42 mins. Introduces the wayang golék, or rod-puppet theater, of Sunda (West Java), Indonesia, focusing on puppeteer (dalang), musician, and puppet-maker Atik Rasta and his family. Includes footage from an all-night performance and interviews with artists, as well as an examination of the music of the accompanying gamelan.